The truck sporting three large "De La Garza for DA" signs was stolen sometime Wednesday night or early Thursday morning. The business owner reported the stolen truck to Garland Police at about 4:30 a.m. Thursday morning. "Didn't the thieves notice it has DA on there? How ironic is that," said Marina De La Garza, wife of the candidate, when asked for a comment. De La Garza had spent about a thousand dollars to purchase the three large magnetic signs for the panel truck, according to Marina De La Garza. 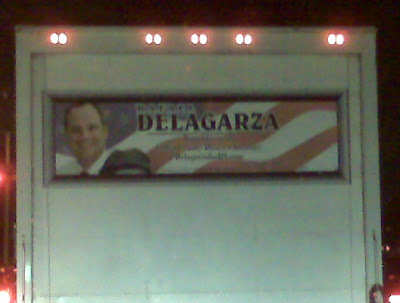 Have You Seen A Large White Truck With "De La Garza for DA" Signs? If you see this large white six tire box truck with "De La Garza for DA" signs on both sides of back of the truck box, call 911 and report the sighting to police. [Republican candidate Scott] Brown has made 66 campaign stops since the primary, while Coakley has made only 19, as of Sunday. Typically, a front-running campaign might hold fewer events to minimize the snafus that might occur and affect the race. The incredible thing about Coakley's verbal and visual stumbles is that none occurred while stumping in Massachusetts. So the work that Coakley was willing to do wasn't done very well. The new PDA application Brown launched Monday tied to his "voter bomb" effort puts a walk list in the palm of supporters' hands. The text message effort mimics the Obama effort last fall. Here's Brown's latest: "Are you taking the day off of work tomorrow to help Scott Brown win? 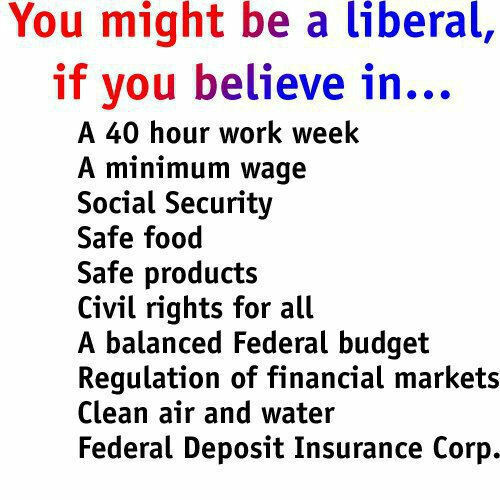 Sign up here to get a walk list on your smart phone: walkbrownforussenate.com." The Coakley text message program also is run by the DNC and voters can get their polling place. The number is the same one Barack Obama used to announce Joe Biden as his choice for vice president. TPMDC texted the Coakley campaign address as a test and received an error message that the polling place locator program couldn't identify the location. The Obama campaign very skillfully deployed all manner of technology to build, stoke, and maintain voter enthusiasm. This race suggests that the Democrats have regressed significantly here, while the Brown campaign, at least, has made up the ground. Two days before Christmas Rafael De la Garza had just made the biggest political decision of his life, filing to run as the Democratic Candidate for Collin County Criminal District Attorney. He was anxious to start his family's traditional Christmas trip to the ski slopes near Santa Fe to enjoy some quiet time with his wife, Marina, and two boys Rafael III and Cristian. By 1 p.m. Christmas eve, the De la Garza family had loaded the car and was on the road to Santa Fe. Later that afternoon, somewhere between Denton and Decatur, Texas, a winter blizzard started to close in on the intrepid travelers and the Texas 287 roadway began to disappear. Read the rest of the De la Garza family Christmas adventure, written by J.B Blocker, at the Plano Star Courier - Click Here. On Monday January 18, 2010 the MLK Celebration Committee will again host the Dr. Martin Luther King Day Leadership Power Breakfast at Collin College Spring Creek Campus. The event starts at 7:30 A.M.
State, county, city and local school board level elected official will form a panel to discuss Dr. Kings influence on America. I just want to remind everyone that the Harris County Democratic Party does not endorse candidates in contested primaries. If you hear of an endorsement by some Democratic club or some Democratic elected official or group of elected officials or some Democratic organization or some precinct chair, please do not be confused: that endorsement does not constitute the endorsement of the Harris County Democratic Party or of the 2010 Harris County Democratic Party Coordinated Campaign and it is not made on behalf of, or at the behest of, HCDP, nor does it indicate HCDP agreement or approval. The folks at the Harris County Project, which plays a substantial role in electing Democrats countywide in the fall, have asked me to inform Democrats that that group also does not endorse candidates in the primaries, and it has not participated in any process to favor or disfavor or endorse any candidates in the primary election. The role of the Harris County Project (and that of the Harris County Democratic Party) is to win elections in the fall, not to promote contested candidates in the spring. Organizations and individuals (including precinct chairs and committeepersons) are entirely free to endorse candidates of their choosing (so long as they do not publicly support or endorse a candidate seeking the Republican Party’s nomination for office). 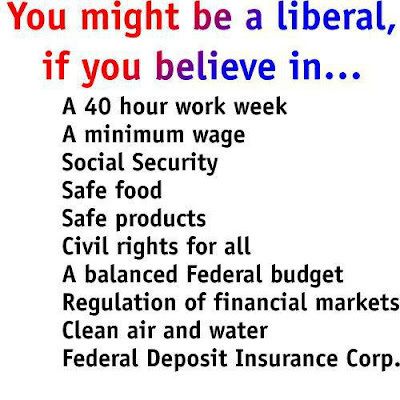 In fact, the fact that certain groups or individuals have endorsed particular candidates may be very helpful to some voters in deciding which candidates they wish to support with their votes, dollars, or efforts. But the Harris County Democratic Party does not engage in those activities, and wants to be sure there is no confusion over that fact. There are many reasons why the political party organizations should not, and, in fact, can not, engage in coordinated campaign activities with candidates before primary election day. Foremost, there are several primary races on each party's primary ballot where Republicans face Republicans and Democrats face Democrats on the same ballot position. County party organizations that have a statutory responsibility to execute an impartial primary election in their respective counties can not take sides in contested primary races. Some might say, "well, no harm and no foul if the party helps candidates in uncontested primary ballot position races." But, again, the party organization can't become involved in pre-primary politics because uncontested primary candidates may want to align themselves with other local and state candidates who are in a contested ballot position race. Then, other uncontested primary candidates may take exception to such alignments by fellow candidates. Such pre-primary situations present the proverbial slippery slope of conflict of interest that must be avoided altogether by state and county political party organizations. Playing The "Democrats Are Weak On Terrorism" Card? MATALIN: I was there, we inherited a recession from President Clinton and we inherited the most tragic attack on our own soil in our nation’s history. Former Bush administration spokesperson Dana Perino has also recently claimed that “we did not have a terrorist attack on our country during President Bush’s term.” Former Bush administration officials seem intent on misrepresenting history to pretend that the country never suffered its worst terror attack in history under Bush’s watch so that 2010 GOP candidates can run on a "strong on terrorism" platform. It’s a peculiar talking point, even considering the other efforts to whitewash the GOP’s disastrous record. Philip Zelikow, Director of the National (9/11) Commission on Terrorist Attacks Upon the United States, testified that the CIA had issued several warnings that terrorists might fly commercial airplanes into buildings or cities. In briefings during the weeks before Bush took office on January 20, 2001 outgoing Clinton Administration officials advised incoming Bush administration officials that counter-terrorism should be the Bush Administration's number one priority. Throughout the spring and summer of 2001, we now well know, that CIA Director George Tenet, White House counter-terrorism adviser Richard Clarke, and several other officials were running around with their "hair on fire," warning that al-Qaida was about to unleash a monumental attack. So why are Republicans stepping up their efforts to white wash the Republican record on terrorism? Terrorism virtually disappeared as an issue in the final Election Day 2008 sprint, despite the best efforts of Obama’s opponent, Republican Sen. John McCain, who had a distinct polling advantage over Obama on the issue because of his military experience. Obama was able to trump the politics of terrorism with a more immediate public crisis – the financial meltdown of September 2008. After a terrorist unsuccessfully tried to detonate his explosive underwear on a Christmas Day flight to Detroit, Republicans seem to be signaling that they intend to again try to excite voters' fears about terrorists during the 2010 election cycle to rehabilitate the old Republican claim that Democrats are weak on national security - weak on dealing with the terrorist threat. And who will Republicans target, in their us-against-them messaging strategy, as accomplices in their charges that Democrats are weak on terrorism? An item from this mornings headlines probably answers that question: FOX News Guest: 'Strip Search All 18-28-Year-Old Muslim Men At Airports'. Related: Rather than strip search 18-28 year-old Muslim men at airports', a more likely response to the Christmas Day underwear bomber will be renewed calls for ‘Naked Scanners’ to digitally strip-search every air traveler.